Our ancestors engaged in some serious cardio exercise just to get food. No walking down a supermarket aisle for them. So nice to see someone else talking about the mental benefits of physical exercise! Most of my friends who ride bikes are 25 years younger than I am, so I am always looking for folks my age who ride. When I finally find one, it turns out he can ride rings around me. Sandy Scott just won his 25th state championship in cycling – at the age of 72. He has broken every state cycling record in Florida. You may have heard of Sandy. He is famous and wrote a book (From Broken Neck to Broken Records) about breaking his neck in a bike race at the age of 65 in October of 2005. He spent five months in a brace and it was nine months before his C1 vertebra healed. Nonetheless, he was on the training bike in his home every day a week after the accident, working no less than 70 minutes a day. That’s the kind of dedication it takes to be a champion at any age. But that was some years ago. How does he get to where he is today in terms of stunning good health and cycling endurance? Fortunately, he answers his own question. I love this summary. About a year ago, I took a course called Lifelong Health: Achieving Optimum Well-Being at Any Age.In it, Dr. Anthony Goodman made the same points as Sandy regarding regular exercise, both aerobic and with weights, eat a healthy diet with lots of whole foods, engage in outside activities, learn something new regularly. Never stop growing physically or mentally. Sandy has a solid work ethic, churning out over 14,000 miles a year in Florida on his bike. His resting heart rate is below 50 yet he says he has gotten a maximum rate of 195 in the heat of a time trial. Sandy said that two years ago his doctor told him about the book NO More Heart Disease, by Dr. Louis Ignarro, about the power of Nitric Oxide. He recommended taking a combination of L-arginine and L-citrulline. Sandy started taking it and noticed a big improvement in his racing results. He said that since starting this treatment, he has steadily advanced in speed. L-arginine is converted in the body into a chemical called nitric oxide. 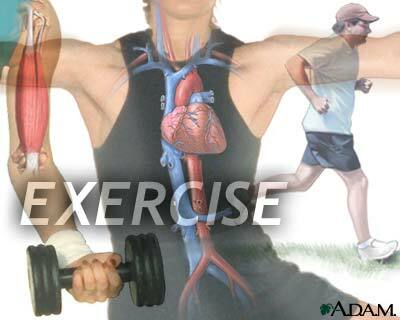 Nitric oxide causes blood vessels to open wider for improved blood flow. L-arginine also stimulates the release of growth hormone, insulin, and other substances in the body. L-citrulline is a naturally occurring amino acid found in food, such as watermelons, and also made in the body. Our bodies change L-citrulline into another amino acid called L-arginine and also to nitric oxide. L-citrulline might help increase the supply of ingredients the body needs to making certain proteins. It might also help open up veins and arteries to improve blood flow and reduce blood pressure, WebMD says. Sandy says this combination works for him and he has friends who have also achieved good results after starting to use it. As you know, I am a regular guy not a physician, so I need to tell you that before adopting anything like this you must talk with your medical advisor. It’s wonderful that Sandy and his friends have positive results. But, even Sandy had his personal doctor recommend it. Before we concluded Sandy stressed that it is never too late to start working on your health. He has friends who are our age who have just begun and they show good positive results. I couldn’t agree more. Last year, I wrote about the U.S. Department of Health and Human Services recommending seniors exercising. It was great meeting Sandy by phone and I wish him all good luck in his upcoming races. He appears to be the exception that proves the rule when it comes to seniors and endurance sports that I wrote about last month. Falling down is a serious problem for senior citizens. For seniors, 65 years and older, one out of three falls each year. Half of these fall more than once. Seniors fall more often with each decade of life. Women are more likely to fall than men, but men are more likely to sustain a fatal fall injury. These statistics refer to individuals living in the community, not nursing homes. So says, Adnan Arseven, MD, AGSF, Division of Internal Medicine and Geriatrics at Northwestern Memorial Hospital, speaking before the hospital’s Healthy Transitions Program®. 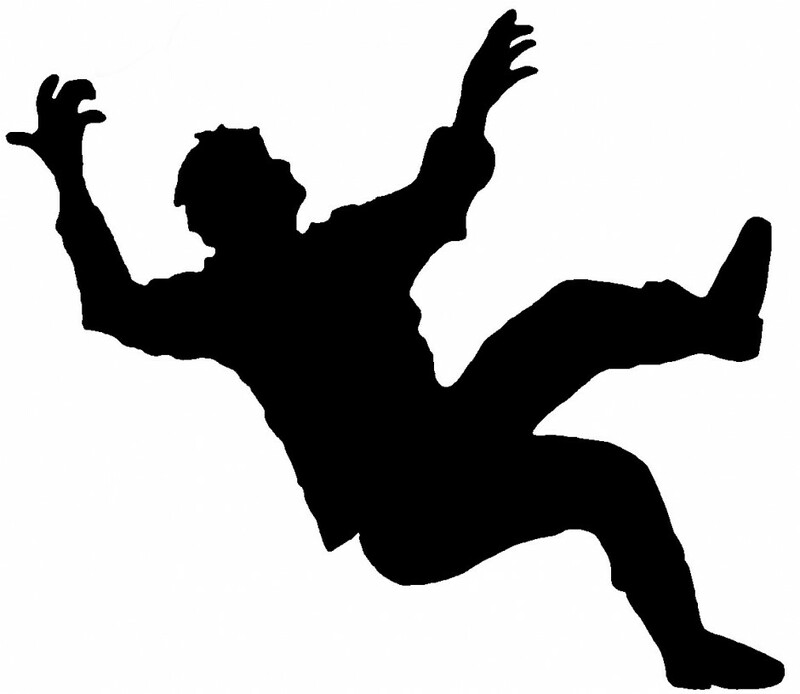 Dr. Arseven defined falling as “coming to rest inadvertently on the ground or at a lower level.” This is not as a result of loss of consciousness or hazardous conditions, like slipping on ice. The Centers for Disease Control and Prevention, CDC, said, “Among older adults (those 65 or older), falls are the leading cause of injury death. They are also the most common cause of nonfatal injuries and hospital admissions for trauma. “In 2010, 2.3 million nonfatal fall injuries among older adults were treated in emergency departments and more than 662,000 of these patients were hospitalized. • Twenty to thirty percent of people who fall suffer moderate to severe injuries such as lacerations, hip fractures, or head traumas. These injuries can make it hard to get around or live independently, and increase the risk of early death. • Falls are the most common cause of traumatic brain injuries (TBI). In 2000, TBI accounted for 46 percent of fatal falls among older adults. • Most fractures among older adults are caused by falls. The most common are fractures of the spine, hip, forearm, leg, ankle, pelvis, upper arm and hand. • Many people who fall, even if they are not injured, develop a fear of falling. This fear may cause them to limit their activities, which leads to reduced mobility and loss of physical fitness, and in turn increases their actual risk of falling. • The death rates from falls among older men and women have risen sharply over the past decade. • In 2009, about 20,400 older adults died from unintentional fall injuries. • Men are more likely than women to die from a fall. After taking age into account, the fall death rate in 2009 was 34 percent higher for men than for women. Should I Continue With My Aerobics Class? If I had signed up for an aerobics class I wouldn’t have an issue. However, I signed up for a “Strength and Conditioning” Class at Northwestern Memorial Hospital recently. I was ‘walking the walk’ after talking about strength training earlier this month. The reason I am considering dropping the course is that we actually do 45 minutes of aerobics and 15 minutes of aerobics with light weights. I guess this is strength training, but it certainly isn’t what I had envisioned when I signed up. I was thinking it would be more like 45 minutes of weight work and 15 aerobics, not necessarily in that order. I already get an aerobic workout and calorie burn, since I average riding my bike 20 miles a day 365 days a year, I don’t need more aerobics work. I do want to keep my musculature as such from shrinking. While many of us do a good job in getting our aerobic exercise in, we fall well short when it comes to weight training. 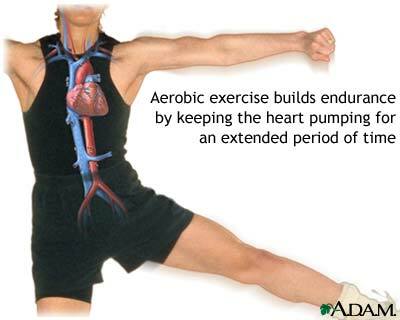 Aerobics is excellent for the heart and a darn good calorie burner, but leaving off weight training is missing out on getting the best results. 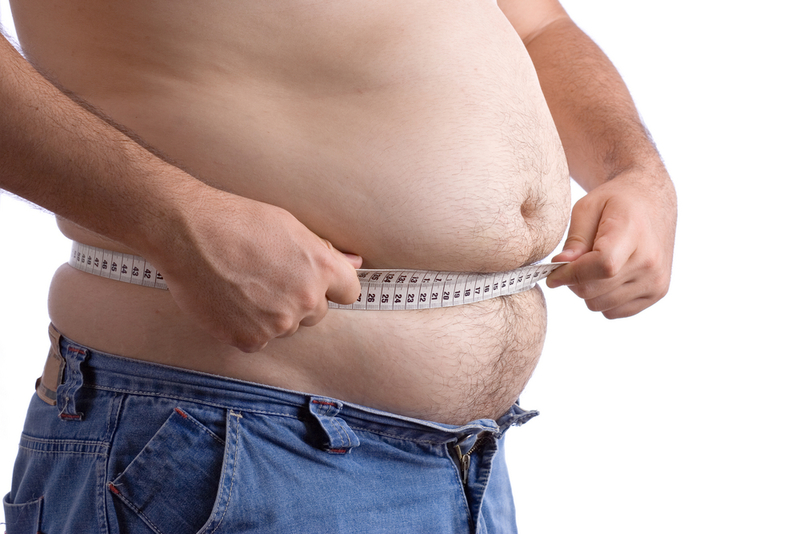 Dr. Micah J. Eimer wrote Are You Running Away From Weight Loss. In it, he noted that a recent Journal of the American Medical Association paper studied people who did both aerobic and resistance training and lost twice as much weight (emphasis mine) as those who did aerobics alone. While he says that fitness pros have been aware of this for years, this was the first study in medical literature that validated the concept. The Washington Post reported, “It’s clear that doing both aerobic and strength training is superior to either alone,” said lead author Tim Church of Pennington Biomedical Research Center in Baton Rouge, La. “It’s almost like taking two different drugs.” Patients in the study achieved the results over nine months, exercising three days a week for about 45 minutes each session. Dr. Eimer explained that most people assume that they burn more calories in the gym than anywhere else. However, more calories are burned during the rest of the day. Remember, most bodies on average burn around 2000 calories a day on basic bodily functions. This is the BMR – basic metabolic rate in which the body does breathing, digesting, generating heat and generally making the body work. The reason for adding resistance exercises to your workout is that they build muscle and increase your BMR which increases the calories you burn in the full 24 hour day. Muscles burn much more calories than fat. Dr. Eimer noted that depending on the study, estimates range from three to 10 times as many calories per hour for muscles vs fat. As a numbers guy who used to work in finance, I loved his analogy comparing aerobic and resistance exercise as simple and compound interest. He concludes with the idea that a sensible diet is the first step. He suggests a good goal for exercise would be 30 minutes five days a week with two of those days allotted for building muscle.